A couple of months ago, it was reported that President Donald Trump was still using an “old, unsecure” Android-powered smartphone to send his tweets from. Now, it seems as if this has changed as White House director of social media Dan Scavino Jr. has confirmed on Twitter that Trump has made the switch to the iPhone, a change that took place a “couple of weeks” ago. Trump’s use of Apple products, namely iPhone, is well documented. While seeking a GOP nomination last year, he would regularly switch off between an iPhone and an Android smartphone for tweet posting duties. That ended — for a couple weeks — when Trump addressed the then recent San Bernardino terror attack. Trump called upon all Americans to boycott Apple until the company agreed to help investigators unlock an iPhone tied to the tragedy in San Bernardino. 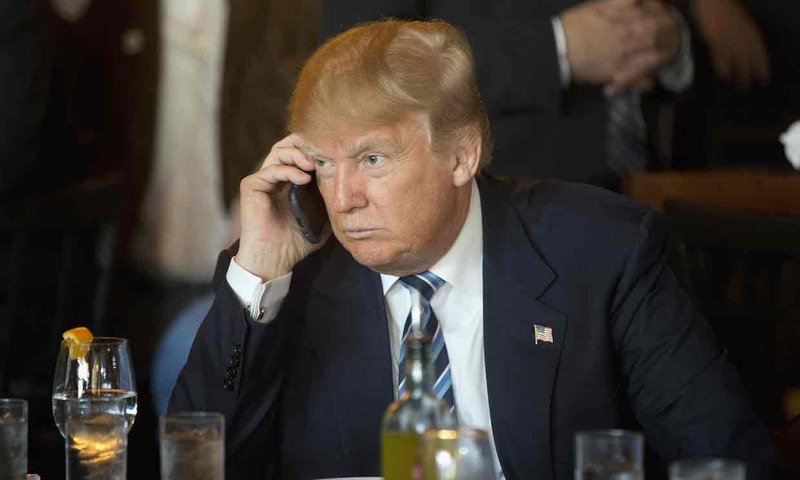 Trump’s new phone is now much more secure than the old phone he was using (hence, less risk of important classified information to leak out), and secondly, because this confirms that the outspoken president has not delegated his tweeting duties to staff members (as some speculated). Donald Trump using an iPhone is also a potential sign that the highest ranking official in the United States is warming towards Apple. The last tweet sent with an Android phone from the @realDonaldTrump account was Saturday, according to Business Insider. On Wednesday morning, Trump was using Twitter for iPhone.